Sometimes I just can’t help myself from changing something that already works. 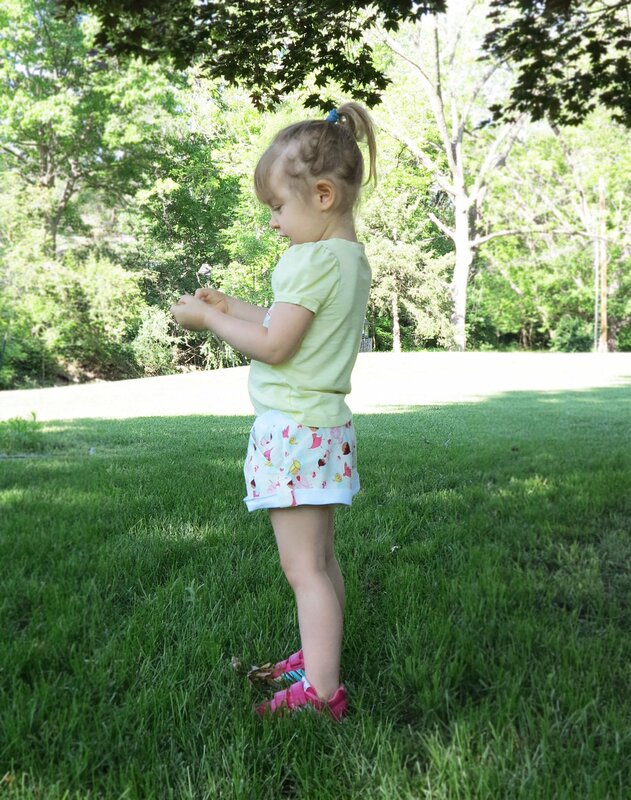 I made some little shorts a few weeks ago that have been an absolute winner in this house. I love the look of them and my toughest critic (Miss Seven) adores her version even more. Even though I liked the pattern exactly as it was, I thought the shorts might look cute with cuffs too. 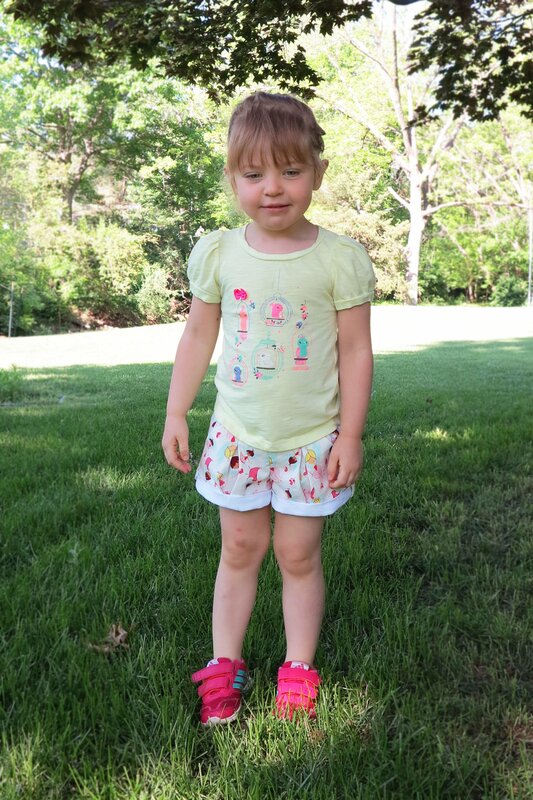 Enter fairy shorts, and the amazing, levitating Miss Three (although she’d tell you she was bunny hopping). I was a bit rushed with this version. I just stitched the cuff tabs on (which I would have done anyway for a three year old). 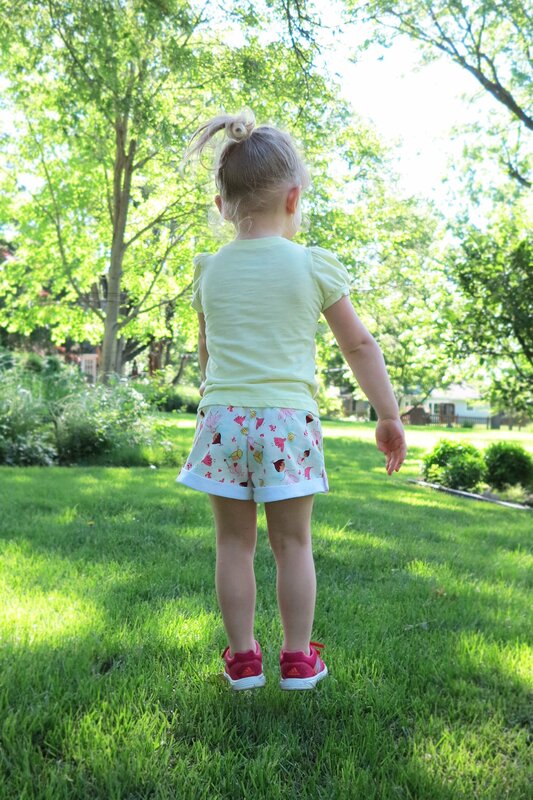 Following through with hand sewing for the little button embellishments became impossible as soon as the recipient spotted these shorts. What do you think of the camera face? As you can see, she’s pretty chuffed with these shorts, especially the pockets. I’m pretty happy with the new design too. The legs are a little narrower and shorter which suit a turned up cuff better. I still like the old version though, but it’s nice to have more than one option in a pattern! 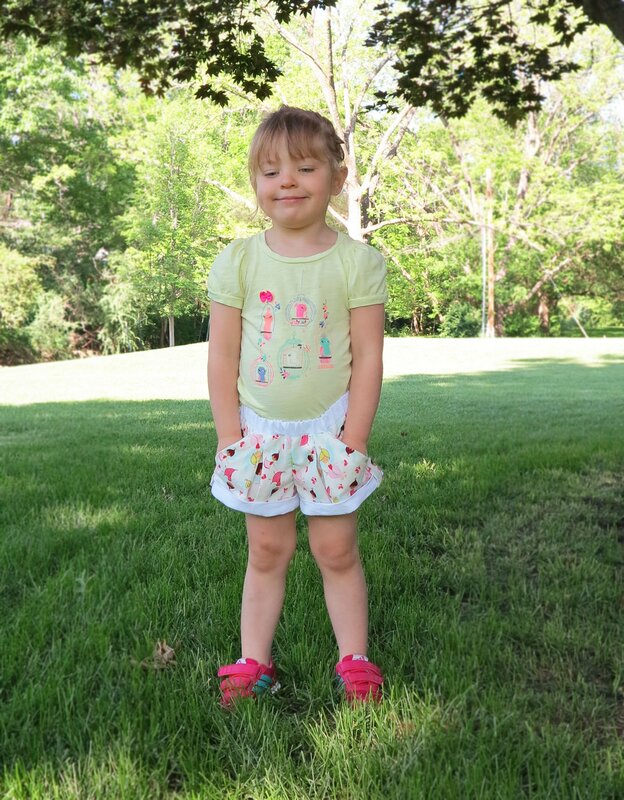 This entry was posted in cotton, cuffs, fabric, pants, shorts and tagged cotton, cuffs, fairies, girl, linen, sewing, shorts, white on May 24, 2015 by Debbie Iles. I’d be pretty chuffed to get shorts like these too. I like all your versions.